What happened to the selection of mens Bugatchi slacks you offered? Some slacks are not online and some are no longer available. We’re currently updating 1000’s of inventory items. What size, color, and fabric are you interested in and we’ll put more of them online? We have a very limited selection of the 80% silk blend pants, including cobalt blue, melon, robusta, and pistachio. Bugatchi Uomo Pants Catalog – download a PDF catalog and call, email, or fax your order. Hot pink tartan trousers by Ian Poulter Apparel are discounted for our first time ever. We have just 10 pairs left, so don’t wait. Dress like a PGA Tour Player and show off your support for breast cancer events in March. The ethos behind IJP Design and the IJP logo is to create high quality, unique, funky and distinctive apparel that fuses functionality with fashion, letting you reflect your own personality and style. Ian took up the game at the age of four when his Dad Terry a single figure handicap golfer gave him a cut down three wood. Ian turned professional at 19 when he won the Open de Cote d’Ivoire on the Challenge Tour in 1999. Winning the Sir Henry Cotton Rookie of the year title in 2000 provided the spring board for Ian to become one of the most exciting talents on the European Tour. He was one of only seven players in 2007 to make all four cuts in the majors, to finish 13th at the Masters, to have two top tens on the US Tour, to win his eighth title in Japan. Quite an achievement for someone who has fought his way up working as an assistant pro, to thrusting himself into one of the worlds top ranking golfers. The launch of IJP – (Ian James Poulter) in 2007 really is a dream come true. Ian began sketching designs as he toured the world on letterheads and airline coasters, dreaming of the day he could wear his own creations. The dream is now reality, both Ian and yourself can wear the IJP clothing brand on and off the golf course. Ian is focused on quality and attention to detail so it will come as no surprise to learn that each garment has been tried and tested prior to production. Ian and trouser’s go together, the IJP brand philosophy is to ‘lead with the legs’ by designing the trousers first and then co-ordinating the rest of the outfit around them. The Poulter Tartans are all licensed under the Scottish Tartan Authority. For each seasonal collection, three different coloured tartans are woven in Scotland and Northern England. The famous Poulter tartan bootleg trousers and now shorts are the pillars of each collection that the range is then designed around. About CEO golf shop: CEOgolfshop.com was created to provide a consumer resource to purchase full collections by major apparel designers, that are typically sold only in limited specialty stores. Both golf and non-golf apparel and products are sold wholesale and retail. Super soft microfiber trousers are back in stock, black only. 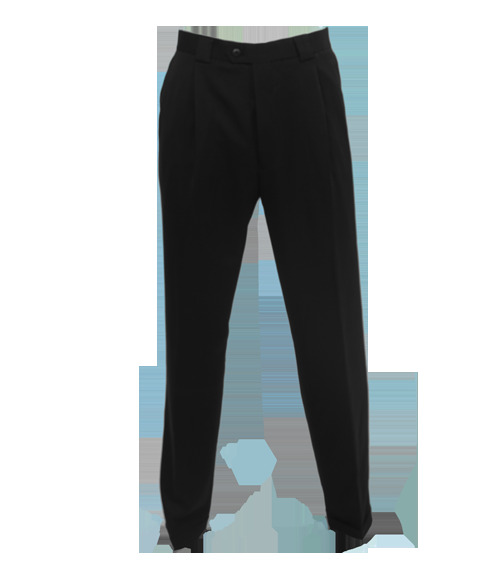 These Bugatchi mens pants are perfect for on the town or on the golf course.